Come visit us at this year's ARBS Expo and test our products. Here's more on what we'll be up to at the event this year. Our National Sales Manager Angelo Rengarajah will be running a presentation in the Product Presentation Theatre on May 8 at 11 a.m. discussing how the HVAC industry is hindered by reactive maintenance. The way forward, as Angelo will explain, is through preventative maintenance. This is a presentation you can't afford to miss, so be sure to head to the Product Presentation Theatre on Tuesday, 8 May 2018. Meanwhile, in the exhibition hall, we'll be letting you test out some of our products. Our Smart World of Testo will show you the real meaning of working smarter, not harder. 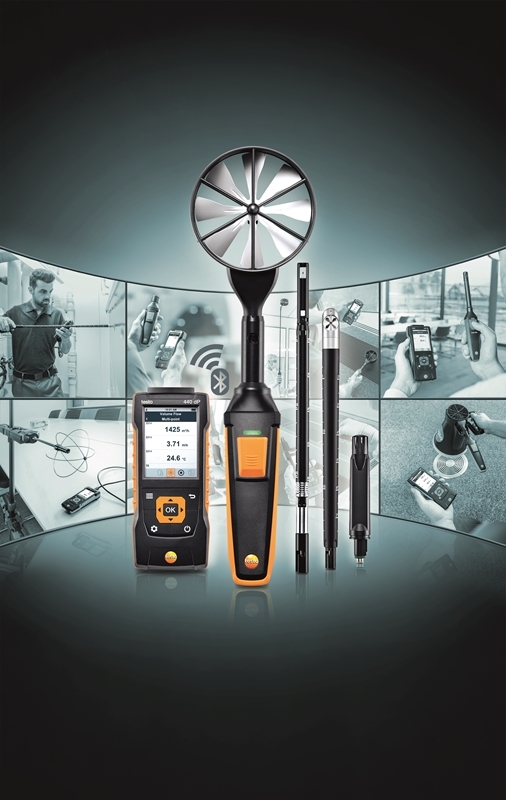 We'll be featuring the Testo 440, the air velocity and indoor air quality (IAQ) measuring instrument. The Testo 440 is your solution for preventative maintenance. This multifunctional instrument allows technicians to seamlessly collect and store various sets of values that help you identify problems before they even arise. Its long-term measurement menu monitors ventilation ducts/at duct outlets, ensuring the volume flow is precisely calculated. The device allows you to see timed and multi-point mean calculation, average volume flow, current reading and minimum/maximum values. Truly, it's the ultimate tool for preventative maintenance – come visit our booth to learn more and see it in action. We're excited to connect with industry professionals and solution providers to share and learn with each other. The Testo stand will be located at 1179-1180, so be sure to stop by and see the product presentation. We'll have our expert team on hand to answer any questions. Additionally, some of our products will also be displayed at our distributors' stands. You can find them at Beijer Ref, at stand 1167 and TOTALINE, at stand – 4023. If you have any further inquiries about the event or Testo's products, contact our team today.